Plus, a page the collects all the 25009 trroubleshooting resources, including lots of fun stuff of Tim Macauly. If you got more of this 25009 fun stuff yourself, feel free to add your articles and add them to the collection page. 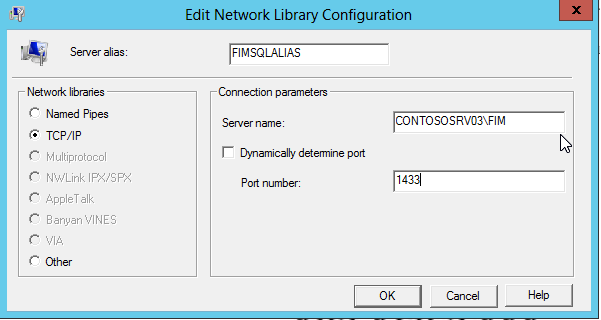 This article has been posted on TNWiki at: FIM2010 Troubleshooting: MIISActivate – FIM Sync service terminated with service-specific error %%-2146234334. Failing over a FIM Sync Server to the standby FIM sync server using MIISActivate. After using successfully MIISActivate, the FIMSync Service fails to start and logs an error in the eventviewer. You’ll see 2 error messages in the event viewer, erro 7024 and error 6324. 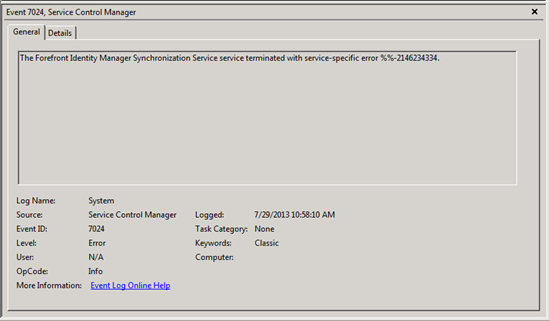 FIM2010 Troubleshooting: FIM Sync service terminated with service-specific error %%-2146234334. The Forefront Identity Manager Synchronization Service service terminated with service-specific error %%-2146234334. ERR_: MMS(7916): d:\bt\39459\private\source\miis\server\server\service.cpp(1027): Error creating com objects. Error code: -2145188339. This is retry number 0. ERR_: MMS(7916): d:\bt\39459\private\source\miis\server\server\service.cpp(1027): Error creating com objects. Error code: -2146234334. This is retry number 1. 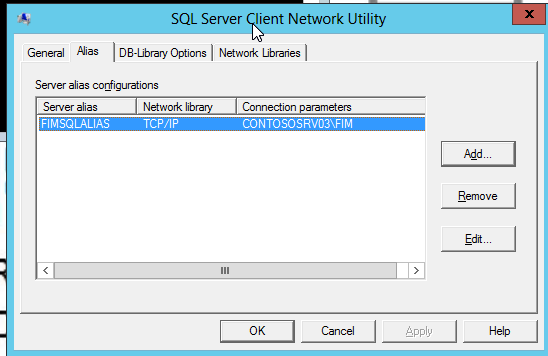 ERR_: MMS(7916): d:\bt\39459\private\source\miis\server\server\service.cpp(1027): Error creating com objects. Error code: -2146234334. This is retry number 2. 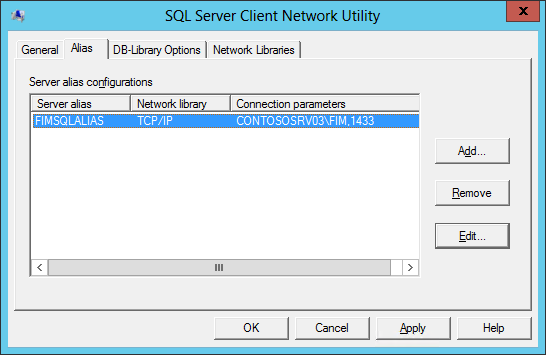 ERR_: MMS(7916): d:\bt\39459\private\source\miis\server\server\service.cpp(1027): Error creating com objects. Error code: -2146234334. This is retry number 3. At the first attempt, the service will take a very long time to try starting. When the initial attempt fails, try restarting the FIM Synchronization again. Use a UDL file with the Data Link Properties tool to check if you can connect to the FIM Sync Database.